I take my coffee very seriously. If I could survive on strong, black coffee, I wouldn’t even hesitate to give up cake, pizza, and other lovely things. I love the ritual, I love the smell, I love the taste, and I love how it warms my always-cold hands. There’s never, ever a bad time for coffee in my book. Coffee just before bed? Right this way, please! I mostly drink cold bitter office coffee these days, but each cup still has a special place in my heart. There’s the 9 am cup I drink as I go over my emails and do other v. important morning tasks. The ‘how is it only 3 pm?’ cup that I sometimes have to microwave because I’m too lazy to brew a fresh pot (shudder). And my favourite, the 9 pm Nespresso Stormio cup that I sip as I binge Brooklyn Nine-Nine or edit photos. Plus, you know, all the ones in-between. Coffee wakes me up, but it also is comforting in a way that I find thoroughly relaxing. Can you tell that I picked up my coffee habits from watching Gilmore Girls as a teenager? My wildest coffee dreams came true last weekend when my friend Madeline invited me to attend Toronto’s very first Beanstock Coffee Festival. The 2018 edition of the two-day festival took place on May 27th and May 28th. 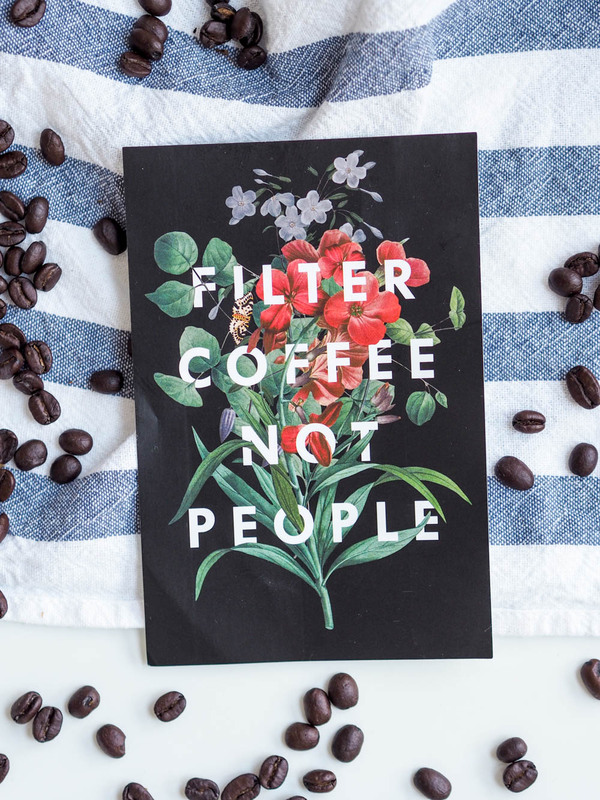 It featured 25 specialty roasters per day, as well as an espresso bar, coffee accessories vendors, food samples from independent businesses, educational sessions, a discount to the coffee subscription service The Roasters Pack….and UNLIMITED COFFEE! It was an all-you-can-drink coffee event, a.k.a. the only kind that matters. A coffee festival is a great way to sample all of the best roasts in town without having to hunt them down yourself. 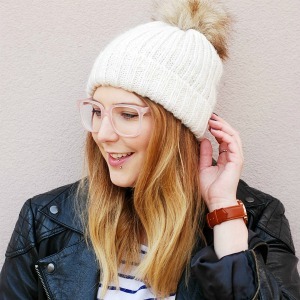 25 local-ish (and international!) roasters in one place makes it really easy to find which one you like best. When we checked in, we were provided with a small Beanstock reusable mug (to avoid wasting thousands of paper cups), a wooden token to exchange for a 100g of beans from a roaster of our choice, and instructions to a coffee-themed scavenger hunt to complete (we killed it btw). The tickets were $25 per day, but you really only need to go for one day. I was so coffee’d out by 1 pm on Saturday that I would not have considered going back for more on Sunday. The tickets were reasonably priced considering that I sampled from at least 7 or 8 roasters, tried a few different cold brews, had two espresso-based drinks (and got to keep the pretty Acme cups they came in! ), ate my weight in chocolate samples, and took home 3 bags of beans (the lovely folks at Detour and Saint-Henri generously offered 100g bags for me to take home). I will say that my Beanstock Coffee Festival experience would have been improved by a complimentary tote bag. I’ll definitely be bringing my own next year. I ended the day with three bags of coffee beans and three mugs stuffed in the pockets of my denim jacket, and it was seriously annoying to walk around a crowded space for hours with my hands full. The venue was great, but it could have been set up a little bit better. The long hallway where most of the roasters had their stands was dark, busy and narrow, which obviously led to some problems since everyone was balancing hot cups of coffee, bags of coffee beans and their phones. The second floor was quiet and empty, and there was plenty of space for more roasters to set up there. It would have been nice to be able to take brightly-lit pictures of the roasters brewing and pouring coffee, but my photos all turned out too dark for Instagram. It’s not often that you’re in a room full of great roasters and have a chance to really taste their different beans, brewed to perfection by an expert, with a wide variety of beans to choose from. 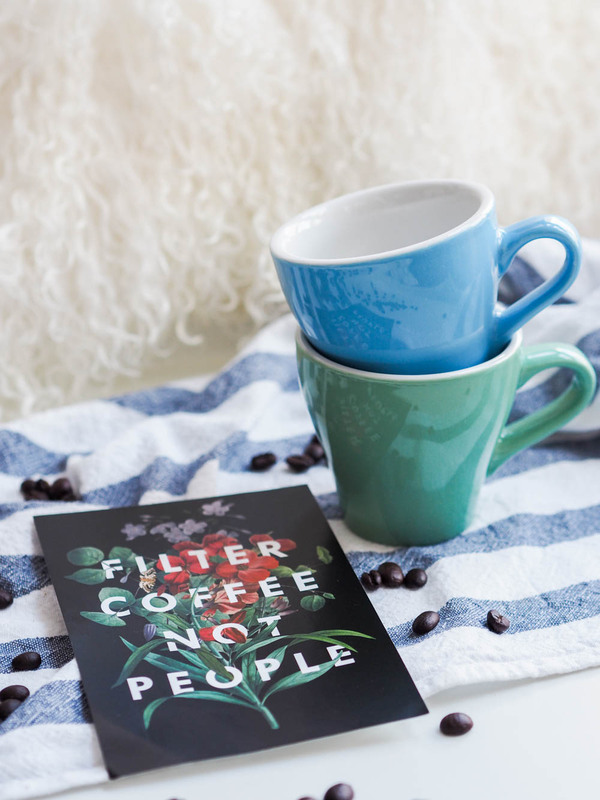 It made it easy to compare the different notes and find out exactly how I like my coffee. The coffee community seems to favor fruity notes at the moment, and I can say with 100% certainty that those are not the notes for me. Fruity coffees taste like walking through a cloud of perfume with your mouth open. Nope. Give me your darkest, heaviest roast. Always. It’s also worth noting that the samples were served without milk or sugar, which suited my tastes just fine but might be a shock for people who are not big coffee drinkers. It makes sense. It’s a tasting, after all, and the whole point is to taste the different notes. I got the distinct feeling that you might be laughed out of the venue if you asked for sugar — everyone looked way too cool for sweetener. The oat milk cappuccinos. I had two. Minor Figures, one of the sponsors, provided oat milk for the espresso bar. It was a life-changing discovery. As someone who is slightly lactose intolerant and has a nut allergy, I’m often stuck with lactose-free milk and soy as options. It makes for bland, disappointing drinks. Oat milk has a thicker texture and a nutty flavour that really adds depth to espresso. Not all non-dairy milks foam well, but the Minor Figures oat milk is a dream to work with according to every single barista I chatted with that day. I’m now trying to get my hands on some to use in my Nespresso Aeroccino milk frother! Despite the fact that everyone from the roasters to the hipster ticket-holders seemed to know way more than me about coffee, it wasn’t as intimidating as I feared. Everyone was really open to questions and feedback, and everyone looked absolutely thrilled to be there. 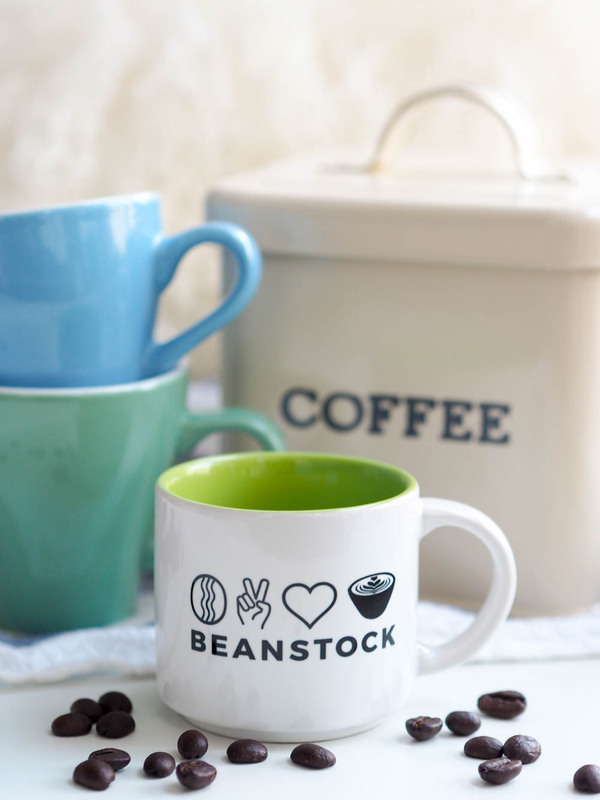 Anyone with a Gilmore Girls-level love of coffee will feel right at home at the Beanstock Coffee Festival. I’m already dreaming about all the oat milk cappuccinos I’ll be drinking next year! 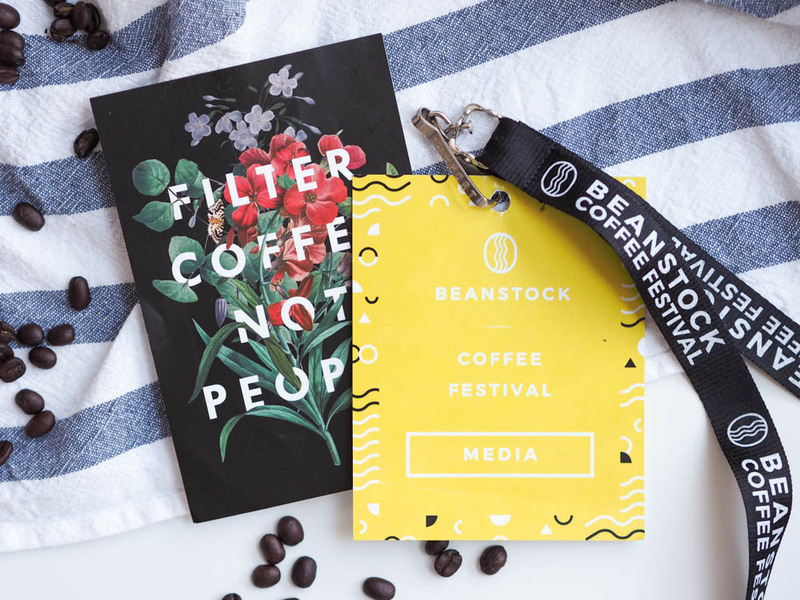 A media pass was provided by the Beanstock Coffee Festival, via my lovely friend Madeline.